Visual Arts: Instruct students to choose an artist and map out the highlights of their career, focusing on the achievements they made in their particular field of art. 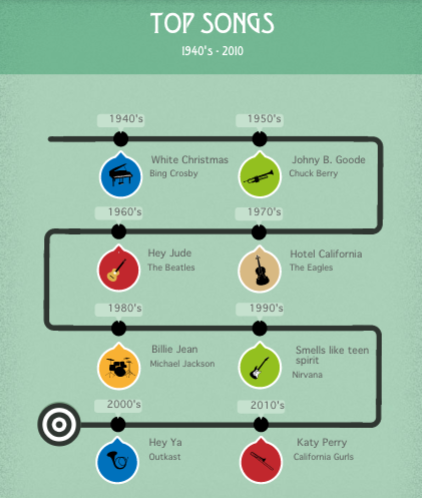 Music: Assign students a genre of music and a time period, and have them select and justify the most influential songs of each decade. English Language Arts: Instruct students to create a chronological timeline of the main events in a book. If it is an independent novel study, students can learn about new books from their peers’ timeline presentations. If it is a class novel study, students can present their timelines to each other, defend their main event choices, and discuss how they differ. 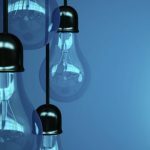 Science: Assign students a topic within science, like genetics, evolution, or biochemistry, and instruct them to identify the advancements that have been made in that field over a particular timeframe. 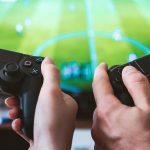 Technology & Digital Literacy: Create a list of technologies such as social media, digital games, television, radio, the Internet, and mobile devices. Have students choose and justify ten of the top milestones, and plot them on a timeline. Summative Assessments: In any subject, you can use timelines as a summative assignment by instructing students to chronologically map out the key events that were covered in the unit. This will help to identify that they met all of the unit’s objectives, as well as provide them with study notes for written assessments, like a test or exam. While there are various ways to have students create their own timelines using paper, there are many free websites that provide interactive and easy-to-use timeline tools. Check out the following list to see which tools suit your classroom’s needs. Tiki-Toki The free version of Tiki-Toki offers one timeline per user. It is browser-based, which means no downloading, and you can create color-coded categories that allow for further grouping of events. 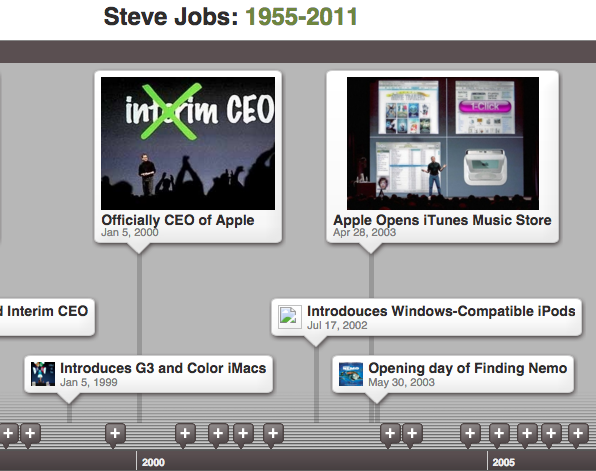 Images, videos, and text can be embedded into each timeline event. For those using Chromebooks, there is also a Tiki-Toki Google Chrome extension. HSTRY This web-based platform offers up to 100 student and teacher-created timelines under a free account. 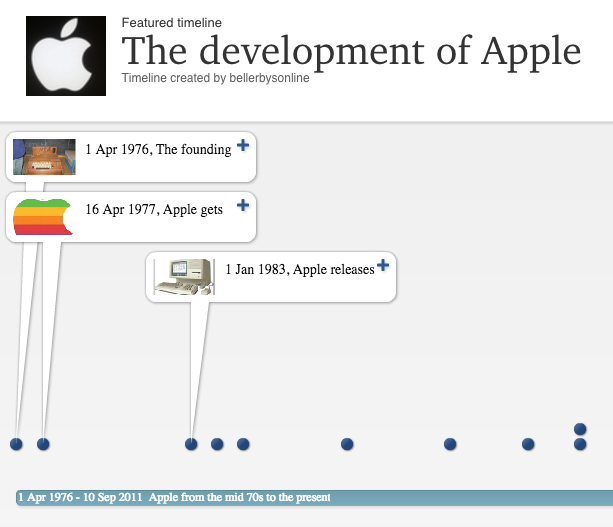 The timeline displays large visuals and videos, and offers the feature of adding assessment questions. 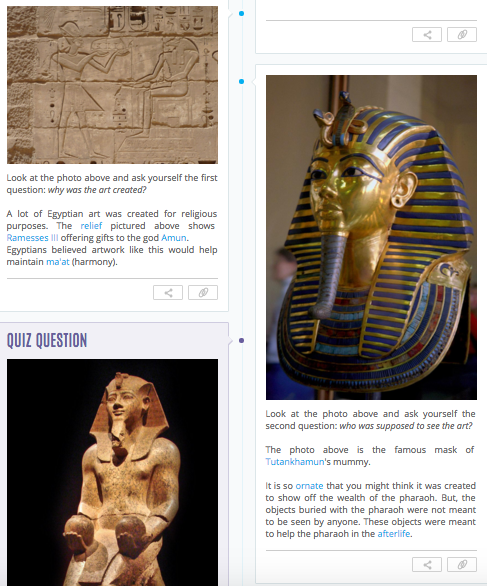 Teachers can also browse and embed pre-existing timelines that align with their curriculum. 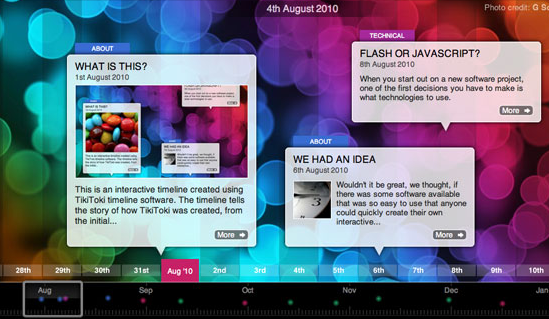 TimeToast A free, public account allows you to create and publish timelines online. While it is not as visually appealing as other options, the learning curve is low so it is easily accessible to students. Dipity This free website offers digital timeline creation that integrates video, audio, images, text, links, social media, location and timestamps. 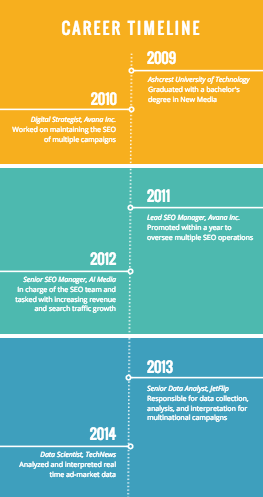 Canva A free tool to create poster-style timeline infographics. The learning curve is incredibly low for the beautiful images that can be created with this application. While it is web-based, it also comes as an app for iPads. Easl.ly This free website allows users to create timeline infographics using pre-made templates and drag-and-drop design elements. Users can use the extensive library of images on the site, or their own images. Using timelines in the classroom, whether they are created digitally or on paper, allows students to visually depict information and make stronger connections between events in the past, present, and future.